Gmail Ads provide quite an advertising opportunity to marketers and businesses. Using this AdWords feature lets them reach out to all Gmail users around the globe and stand out from every other promotional email. First off, What are Gmail Ads? 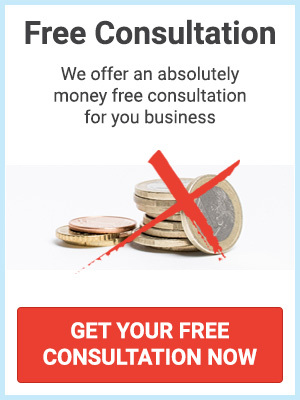 This is a type of ad that appears in people’s Gmail inbox. It looks like every other email just labeled with “Ad”, discretely separated from everything else, and looks almost organic. It has its sender, headline and message parts where marketers can unleash their creativity. What you need to have in mind is that there are some limitations to name, subject, description, url and other lengths including specifications to images as every other AdWords ad. Why Gmail Ads? Can’t I Send a Normal Promotional E-mail? Of course, you can set up an e-mail campaign using MailChimp (or any other e-mail marketing platform). People will get it, eventually open it and perform some actions if they decide. What’s the point then? It’s called “placement”. E-mails get sorted by the time they’re received which means your promotional message will be pushed down with every new e-mail the specific person gets. This means that they might never see it or if they get too much e-mails they might actually trash it before even noticing it. As already mentioned, when it comes to effective advertising placement is key. Gmail Ads appear on top of everything else (pretty similar to Google’s search result pages). If people have enabled “tabs” the ads will appear under the “Promotions” tab. *So are the normal promo emails. 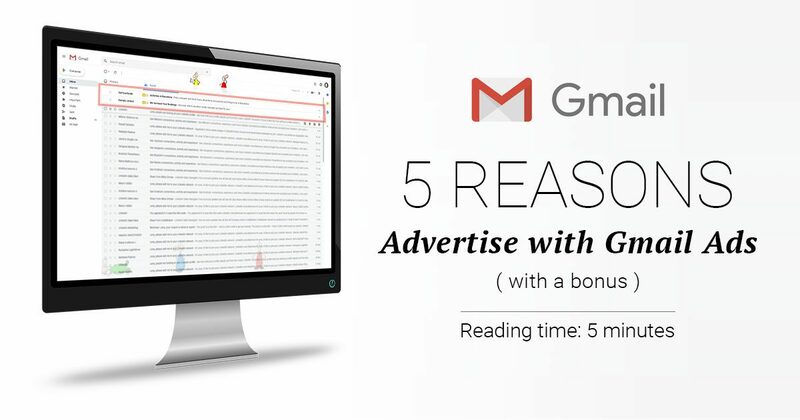 Your ads will definitely be seen by every user who opens their Gmail inbox (and Promotions tab). Whether they open it and perform an action depends entirely on marketer’s creativity and the person’s needs. This is the other really important factor in effective online advertising. If you know who your target audience is and what it needs then you can offer them the solution they look for. 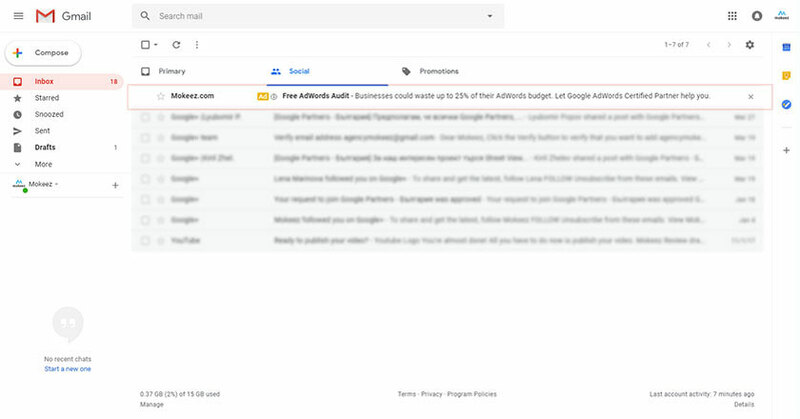 Gmail Ads provides you with numerous targeting options such as demographics, life events, automated targeting, affinity audiences, customer match, remarketing, and more. Additionally, we all know how powerful remarketing is. Gmail Ads, as any other advertising option in AdWords, offers one of the best remarketing tools out there. Being much of a display ad type, all Gmail ads are automatically optimized for any screen type whether it’s on desktop, mobile browser or Gmail app. Images, videos and text of your ads will be nicely scaled and placed to provide a better experience to the receivers. You can unleash your creativity and design a catchy e-mail much as every other e-mail marking platform. Gmail Ads provides everything you need to design and customize your ad however you like. You can choose from custom HTML uploads, image formats, single or multi-product promotions depending on what you’re going to advertise. Well, there’s nothing much to say here. Gmail is one of the most used e-mail platforms across the world. And we all know how much people love their Gmail, meaning the average person spends around 30 hours a week just to check their e-mails. And this does not include reading and responding. In addition to above points, we can also add the extra reporting options and simple campaign management which are of great help when you have to deal with more than one account. Before taking the next step you need to keep in mind that AdWords has a policy which says that every link in an ad should lead to the advertiser’s website and be highly relevant to what’s advertised. This means that the sender’s name should represent the same thing as advertised in the e-mail description and linked urls. Simply said, you can’t send a promo of leather coats from PETA. This way, AdWords supports transparency towards users providing them a better experience in their e-mail inboxes. Always write the brand’s name as the sender, i.e. the advertiser. Carefully think through the headlines and subject lines. Gmail Ads are placed above everything but the placement loses its effectiveness if there’s nothing “catchy” there. Think of the “ad blindness” most people have developed and think of something that might get their attention. Know your audience. Like, really get to know them. What they like, what they do, what they need. This way the points above and below will become much easier. Design your message much as a landing page. Think of CTA’s, beautiful and catchy images and even videos. Try to describe what you’re offering the best way you can. You have all the tools you need, use all of them. As CTA’s are mentioned – try to avoid common words like “buy now” and “download”. Yes, they are a cliché for a reason but it’s proven that something like “follow the trend” (for a fashion brand) or “increase your CTR” gets more attention, and clicks. Don’t forget the color as well. The CTA should stand out from everything else. Gmail Ads is certainly a great opportunity that should not be missed especially when used as an addition to your overall online advertising campaigns. Along with the amazing retargeting option you can reach out to prospects who are near or ready to buy. Have you advertised in Gmail? We’d love to hear what results you’ve achieved.